My collection of best reads for your Sunday! It's not every day that someone writes down an equation that ends up changing the world. But it does happen sometimes, and the world doesn't always change for the better. It has been argued that one formula known as Black-Scholes, along with its descendants, helped to blow up the financial world. Why do they hate us? (FP) This article on the status of women in the Middle East societies (and in Islam), is one of the best I have read in a long time. How much does Saudi Arabia hate women? So much so that 15 girls died in a school fire in Mecca in 2002, after "morality police" barred them from fleeing the burning building -- and kept firefighters from rescuing them -- because the girls were not wearing headscarves and cloaks required in public. And nothing happened. No one was put on trial. Parents were silenced. Nokia’s 94 percent share-price plunge from its 2000 peak has left thousands of engineers looking for work now that Nokia is curtailing local development and moving production to Asia. Nokia’s share of gross domestic product probably shrank to 0.8 percent in 2011 from as high as 4 percent in 2000. Must watch: Andre Kuiper's stunning photographs of the Earth and space sent to Earth via Twitter. 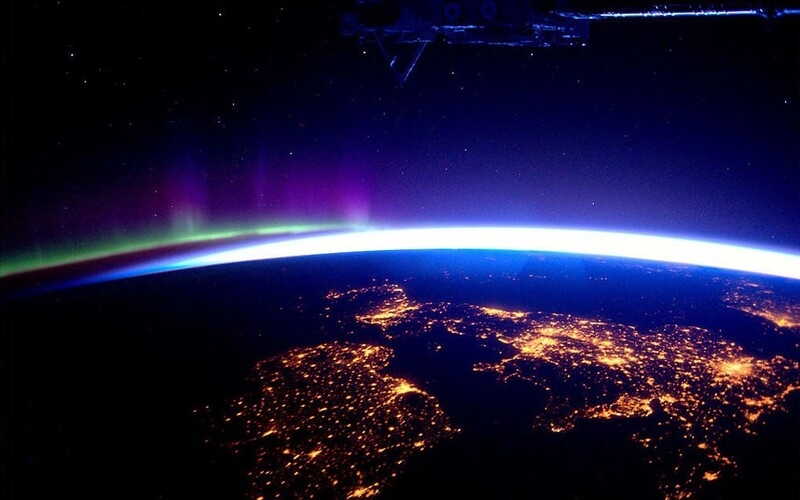 (Telegraph UK) Take, for instance, this photo of the UK and Ireland by night, with the Aurora Borealis on the horizon, snapped on March 28 this year. India is paying dearly for the Central Government's dithering on crucial economic reforms and general lack of governance. The lack of any interest in the UPA to push for measures that can contribute to enhanced economic growth, is a matter of serious concern. Rather than work toward improving economic and social welfare, the UPA (read Congress) is busy firefighting a series of scams: 2G, CWG, Abhishek Manu Singhvi, and Bofors. It is only expected that when it comes to survival, the UPA will only be bothered about protecting its turf and political votebank. 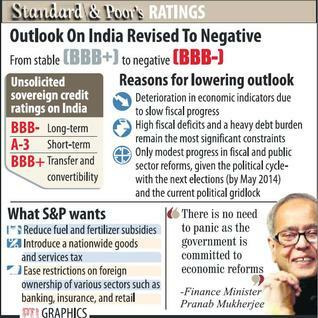 Yesterday, Standard and Poor's (S&P), a leading credit agency, lowered India's rating outlook to negative and warned of a downgrade in two years if there is no improvement in the fiscal situation and the political climate continues to worsen. The lowering of outlook from Stable (BBB+) to Negative (BBB-) is expected to make external commercial borrowings expensive for Indian corporates. It may also have implications for the capital market. BBB- is the lowest investment grade rating, just above Junk status. S&P said that, "the outlook revision reflects our view of at least a one-in-three likelihood of a downgrade if the external position continues to deteriorate, growth prospects diminish or progress on fiscal reforms remains slow in a weakened political setting". Further, it said that the negative outlook signals likelihood of the downgrade of India's sovereign within the next 24 months, especially "if its external position deteriorates, its political climate worsens, or fiscal reforms slow". What is Credit Rating? Any form of debt (i.e. money borrowed) has to be repaid. So before you lend money, you would like to perform a background check on the borrower’s repayment capacity, i.e. ability and willingness to repay the debt. In other words, this background check is used to test the creditworthiness of the borrower. Based on the result of the background check, a credit rating is used to assess the creditworthiness of a borrower or issuer of debt. This kind of credit rating is assigned by a credit rating agency. To understand what credit rating is all about (and what this kind of a revision means), read The Explainer: Credit Rating, which first appeared on this blog on August 5 last year. 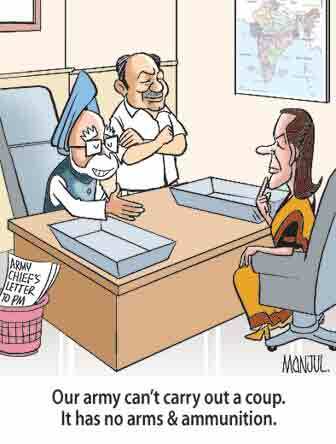 Graphic taken from The Hindu Business Line. Two of the major things that caused the global financial meltdown in 2008 were the innovation and subsequent abuse of the Credit Default Swap (CDS) and Collaterised Debt Obligation (CDO) instruments by Wall Street’s financial and banking powerhouses. In fact, the rampant abuse of these financial instruments by greedy bankers eventually sparked off the worldwide financial and economic downturn in 2008 that has brought intense misery to hundreds of millions of people around the world. So complex were these financial instruments that Lloyd Blankfein, the CEO of Goldman Sachs, when asked in a Congressional hearing about ‘Collaterised Debt Obligation’, appeared to be at a loss to describe the financial tool. PBS is running a terrific investigative story on ‘the inside story of the global financial crisis’. Here is the first part (length 59 min) of the four-part video series. Last week, my wonderful colleague and friend, PCR, or Royji as I call him, shared an interesting piece: a commencement address by Adrian Tan, author of The Teenage Textbook (1988); he was the guest-of-honour at a NTU convocation ceremony where he delivered a speech, titled "Don’t work. Be hated. Love someone. ", to the graduating class of 2008. Go read the complete speech here. Trust me this will easily become one of your best reads. Some interesting reads for today. 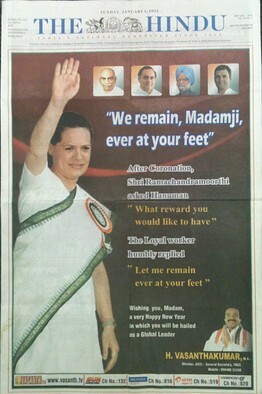 Check this newspaper ad taken out by a sycophantic Congressman (hey, that's some redundancy! ); with these kinds of leaders, the INC is doomed to go down. I am back with the reading list! Is this the price that all nations have to pay for an increasingly globalised world? Not at all — in fact, Britain is unique in having such a supine attitude to selling off its crown jewels. Other countries adopt what’s come to be known as ‘economic patriotism,’ which involves putting tremendous obstacles in the path of foreign bids. While India has bought UK enterprises such as Jaguar Rover, it won’t allow British firms to take full control of its own companies. In a quarter-century, at the rate Nigeria is growing, 300 million people — a population about as big as that of the present-day United States — will live in a country the size of Arizona and New Mexico.... [In] a typical apartment block known as a “Face Me, Face You”... whole families squeeze into 7-by-11-foot rooms along a narrow corridor. Up to 50 people share a kitchen, toilet and sink — though the pipes in the neighborhood often no longer carry water. India is the most elitist, exclusive, unequal and stratified country in the world, and we don’t even know it. The Indian elite – which smugly calls itself the “middle class”, since it alone benchmarks itself globally – has constructed walls of privilege for itself that are all the more powerful for being invisible to many eyes. And if not invisible, then concealed behind other words — “culture” and “merit”, for example. Swagato & Ninan of TOI lampoon the farce of issuing apologies in bilateral relationships between the triumvirate of the U.S.-India-Pakistan. In a very rare admission, North Korea admitted the failure of the rocket launch; the failure will rankle the North Korean leadership as the rocket launch had been portrayed as the reflection of the country's technological advancement. In fact, this was the third attempt by North Korea (first attempt was in 1998 while the second attempt was made in 2009) to put a satellite into the orbit; incidentally, all three ended in failure. The launch drew international condemnation, especially from the U.S., South Korea, and Japan, with many calling it a violation of international missile test treaty violation. I have, in the past, written on the North Korean dictatorship. Here's a revisit to this topical issue. Politically the world's most isolated country, North Korea has working relationship with only two countries – Russia and China, both of which share land border on its north. It is ruled by the hyper-reclusive Kim family. NK turned communist under the Soviet influence during and after the World War II (1939-45). It fought the South, which, under American influence, adopted democracy and free market economic system. At the end of the Second World War, the U.S. and the USSR mutually agreed that the 38th Parallel (38 degrees North Latitude) would form the boundary between the two Koreas. Early on, the extremely varied political ideologies of the two Koreas led to the Korean War (1950-53), which culminated in establishing intense hatred in the North for the South and utter contempt and fear in the South for the North. A cursory glance at the death figures in the Korean War will give you an overview of the catastrophe: an estimated 16 lakh NK soldiers, about 28000 American troops, and around 4 lakh South Korean soldiers are said to have died. Currently, Kim Jong-un is the new leader of the communist nation. He is the son of Kim Jong Il, who died in December last year, and the grandson of Kim Sung, who was a puppet ruler installed by the Communists powers in Moscow and Beijing. In short, the Kim Family controls the country as if it were its fiefdom. Like all communist states, North Korea is also a one-party state, with no elections, no free press, no freedom of expression, and no concept of private property, all characteristic of an Orwellian State. (The word Orwellian comes from the name of George Orwell, the author of the political classics, 1984 and Animal Farm. The reader will appreciate that in the book 1984 Orwell describes the idea of Big Brother, i.e. someone who is all-pervading and watches every move; it is also true that Bigg Boss is a variant of Big Brother!). No dissent is allowed; anyone seen criticizing the leadership is sent to the numerous concentration and labour camps that dot the country's landscape. It is believed that today there are more than half a million people imprisoned in these death camps. As you know, North Korea is a nuclear weapons state; apart from a declared nuclear weapons program, it is suspected of running biological and chemical (links to NTI Web site) weapons programs. It has a large arsenal of missiles and is seen as a major proliferator such weapons technology. It is an open secret that Pakistan got missile technology from NK after the former bartered nuke weapons technology in return. While NK spends millions of dollars on weaponisation programs, it does nothing to mitigate the sufferings of millions of its citizens, who are burdened by lack of employment, income, and economic freedom. 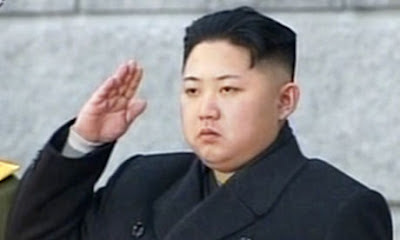 It is estimated that over 1.9 million North Korean citizens have died of starvation in the last two decades. The international community, led by the United States, has been trying to get the North into giving up its nuke weapons program in exchange for multibillion dollar economic aid; however, several rounds of six-party talks (North Korea, South Korea, Japan, China, Russia, and the U.S.) have yielded no positive result in the face of an intransigent and capricious North Korea. No note on NK can be complete without an aside on the relationship between Japan and the two Koreas. The current relationship between the Koreas and Japan is to a large extent shaped by the latter’s unsavoury actions during and after the Russo-Japanese War of 1904-05. In this war, Japan defeated the Russian tsarist army and occupied the Korean peninsula. What followed the occupation was an unsavoury episode in the history of the bilateral relationship between the neighbours. The Japanese devastated the land, raped hundreds of women and enslaved millions of Korean men and women. The bitter legacy of these Japanese actions still rankle the Koreans. While economics has, to a large extent, helped normalise relations between South Korea and Japan, it is the North that continues to rile against Japan. In fact, a couple of years back, the North Koreans tested a long range missile that flew over Japan! China is the most important all-weather friend of North Korea. Apart from political and ideological interests, China tries to keep the Korean cauldron boiling because that helps it achieve strategic goals: China has historically been anti-Japan (just like the two Koreas). As the dictum goes, enemy's enemy is a friend and so is NK a friend of China. NK's shrill and persistent belligerence keeps South Korea and Japan on tenterhooks which serves the purpose of the Chinese! Also, NK can not concede anything in the six-party talks without China's approval. In fact, the Chinese are as worried about the new puppet in Pyongyang as the U.S., Japan, and South Korea. China's game plan is simple: if any positive change has to emerge in NK, it will have to be through Beijing. This way China holds the trump card on the strategic cards table. 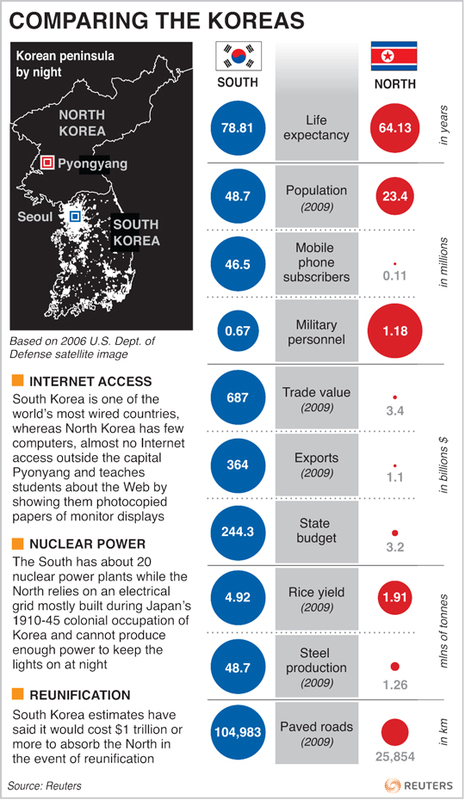 Check out this Reuters infographic, which features a comparison between the two Koreas. Also, you will find that NK, which is perpetually energy-deficient, is completely dark, except for the bright spot of the capital, Pyongyang. Labels: China, Communism, Democracy, Far East, Pakistan, Terrorism, The Explainer, U.S. Seven incisive articles for your Sunday reading! No female is safe from the violence: not little girls, not housewives, not foreigners. 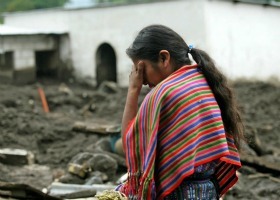 The elevated level of aggression against women is not a isolated phenomenon in Central America — El Salvador and Honduras, for example, also present alarming statistics — but nowhere in the region is it worse than in Guatemala, where U.S. Cold War foreign policy aided in establishing a devastating culture of violence that persists today. [...] In other words, simply being female is a dangerous liability throughout the country, and an increasingly fatal one. China is investing heavily in “asymmetric capabilities” designed to blunt America’s once-overwhelming capacity to project power in the region. This “anti-access/area denial” approach includes thousands of accurate land-based ballistic and cruise missiles, modern jets with anti-ship missiles, a fleet of submarines (both conventionally and nuclear-powered), long-range radars and surveillance satellites, and cyber and space weapons intended to “blind” American forces. Most talked about is a new ballistic missile said to be able to put a manoeuvrable warhead onto the deck of an aircraft-carrier 2,700km (1,700 miles) out at sea. A political anecdote for you. Two political candidates were having a hot debate. Finally one of them jumped up and yelled at the other: "What about the powerful interests that control you?" The other guy screamed back, "You leave my wife out of this." 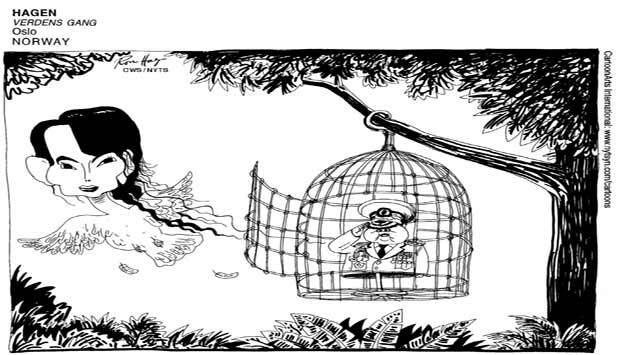 Manjul of DNA brillianty captures the false news involving the Indian Army staging a coup against a civilian government; misplaced priorities of our defence ministry have left the brilliant Indian Army with technically-advanced weaponry but with no basic ammunition. In March this year, a top B-School, based in south India, had, as part of its GDPI process to select students for its MBA class of 2014, administered an interesting GD topic: Capital punishment should be abolished. Check out this infographic, from the Economist's Graphic Detail blog, that details some important facts and figures to help you get a snapshot of this burning issue. Check out this set of four interesting articles, including a slideshow for your viewing. Bloomberg has two interesting pieces on the future of the Euro. Euro was flawed at birth and should break apart now, says Charles Dumas. Euro doom is fantasy, why the currency won't collapse, by Charles Wyplosz. For several years now, Tibetans activists have tried to elicit global support for their campaign against China's cultural genocide. They accuse Beijing of killing hundreds of peacefully protesting Buddhist monks in Tibet and systematically destroying symbols of Tibetan culture. One of the more non-violent ways that Beijing has used to suppress the Tibetans is to promote the migration of the Han community (China's biggest ethnic group), who have grabbed economic opportunities at the expense of the native Tibetans. 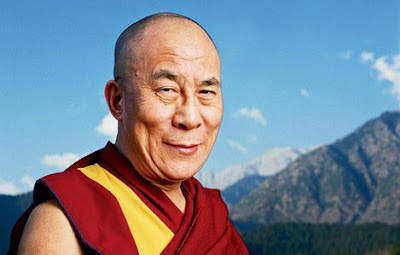 To draw the world's attention to their plight, since January 2011, 29 Tibetans have burnt themselves to death in India. Tibet, before its occupation by China in 1959, was a Buddhist theocracy. China's occupation saw the killing of thousands of Buddhist monks by Beijing’s military. In the years after the escape of the Dalai Lama, the besieged nation’s top spiritual leader, on horseback to India in 1959, almost all symbols of the ancient heritage of Tibet have been systematically erased. Today there is a Tibetan government-in-exile with its headquarters in McLeodganj in Himachal Pradesh. Thousands of Tibetans—both first generation refugees and their descendants—have made India their home. Over the years, India has extended moral and diplomatic support to the Tibetans. All that is changing and how. For fear of antagonising China, the Government of India (GoI) has often asked its ministers (& top bureaucrats) to avoid meeting the Dalai Lama or other Tibetan representatives. In fact, the GoI said that, “We will continue to extend the Dalai Lama all hospitality, but during his stay in India, he should not do any political activity that could adversely affect relations between India and China”. In short, India ‘advised’ the Dalai Lama not to conduct any political activities from India. (b) Reciprocity. Kashmir is India’s bugbear just as Tibet is China’s. (c) 1962 defeat. Rarely acknowledged but nevertheless our humiliating defeat continues to shape our almost condescending attitude towards China. However, what worries me more is that if this could happen when the Dalai Lama is around, imagine what would happen after his death. As of now, the Tibetan community (including in Tibet) does not boast of even a single individual with the charisma, and more importantly, spiritual hold, to replace the Dalai Lama. So is the Tibetan movement doomed? Let me not sit in judgement here. I hate to sound pessimistic, but maybe the Indian government is simply waiting for the Dalai Lama to pass away. At least then, we would not have to put up the charade of standing up for the freedom-loving, oppressed, and repressed Tibetans. Last week, the Government of India stopped the death sentence of Balwant Singh Rajoana, the killer of former Punjab chief minister, Beant Singh. In some sense this government action reflects the pursuit of communal politics, even at the cost of national security. 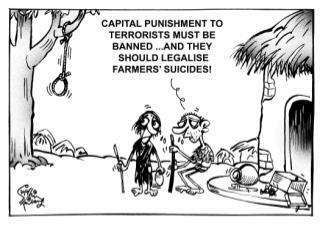 Sudhir Tailang caricatures votebank politics in this brilliant cartoon.